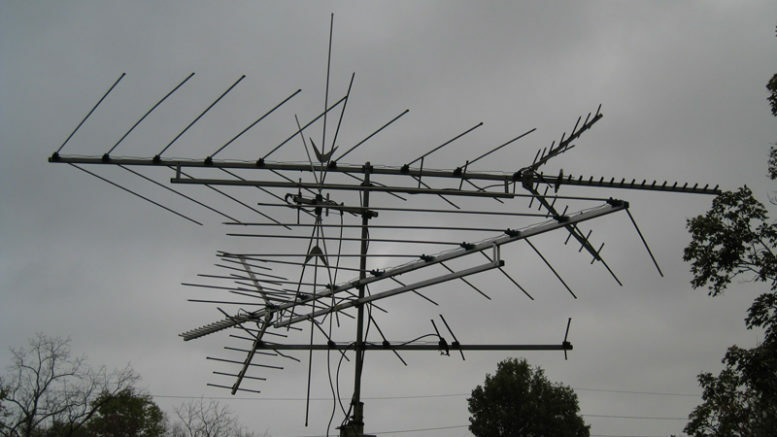 What can you do if the HOA or condo board asks you to take down your antenna or dish? You have the right to put up any antenna or dish smaller than 1 meter (39″) in any dimension, in your private area, whether or not the HOA can see it. Period. It’s called the Over-The-Air Reception Devices rule (OTARD) and the FCC passed to make sure that you were protected from HOA and condo board abuse. If you own your home then you have the absolute right to put up that small antenna anywhere on the house and to drill holes to your heart’s content. There are no restrictions to that at all. If you share a wall or part of your dwelling is considered common property (like in a condo if the roof is shared) then you have to get permission to drill but there is nothing from stopping you using strap-on mounts. If you rent you can still put an antenna on your patio or any space that no one else can get to, but you have to ask permission to drill holes. A tripod mount and some bricks will do a great job getting that antenna ready for you. If the HOA or condo board doesn’t believe you, there are some things you can do. The first would be to show them this web page, which clearly details the facts. There’s even a flyer you can use. If none of those things work, you have the right to file a complaint with the FCC and with local authorities. Before going full-tilt, though, what is the HOA asking? Are they simply asking you move the antenna slightly? Will that affect its performance? Are they asking that you have it completely inside your common area? They have the right to do that. Start by working with them but be prepared to pull out the big guns. With some careful application of common sense, and with the proper documents (from the web pages above) it shouldn’t be too hard to convince the HOA that you’re right and they’re wrong.